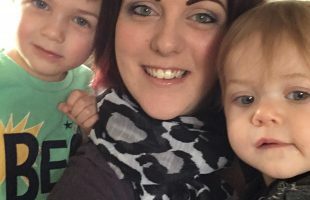 Our Beautiful Baby Massage Classes give you the tools to help with many common issues such as colic, sleep, constipation and postnatal depression. They are a place where you will likely make new life long friends and gain support just when you need it. We enable you to develop and enhance that precious bond in a beautiful, tranquil environment. Each class includes some non structured sensory chill out time for you and your little one to relax and explore together. Our baby Massage classes are small with a maximum of 8-9 places, depending on venue. Oil and handouts are included. Teach your baby to communicate through a beautiful, visual language, enabling them to communicate even before they can talk. 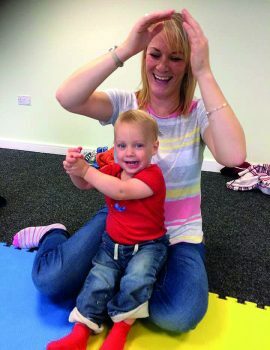 Give them the tools to communicate their needs and develop their speech through song, sensory play and fun activities of engagement with Hushabye Hands. 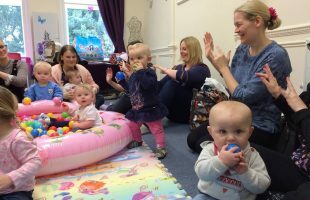 Our fabulous baby sign classes are packed full of fun, there’s plenty to engage everyone throughout and you get to learn a new life long skill along the way. We use BSL signs (British Sign Language), there’s a different action packed topic each week and you get handouts to help you at home. 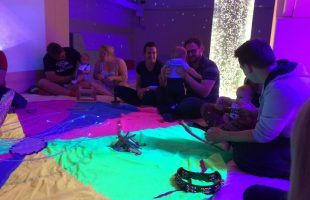 Our enchanting Multi-Sensory Baby sessions are held in the magnificent multi-sensory rooms at the Space Centre, Preston. They are suitable from 4 weeks to 4 years but the sessions are separated dependent on age/mobility. Each session includes some signed songs to many different, exciting themes. 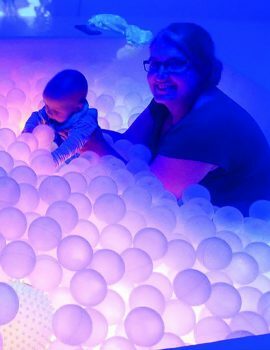 There is also plenty of time to explore the fabulous multi-sensory room which boasts an array of amazing sensory resources, including a huge slide, bubble tubes, interactive flooring, illuminated ball pool and much more besides. Treat yourself to some time out in Hushabye Hand’s treatment room, at the Space Centre, Preston. A perfect opportunity to get some quality ‘me time’, a chance to unwind, relax and recharge. With Hushabye Hands you can enjoy being pampered by an experienced massage therapist who will blend oils specifically tailored to your needs. Aromatherapy uses the essential oils from the pure properties of plants in a natural, complementary therapy which can help improve both physical and emotional wellbeing. In vel volutpat felis. Nullam pharetra a felis sed sagittis. Morbi non lorem sit amet ante sollicitudin sagittis a eget orci. Aliquam et justo eros.